Pakistani actor Fawad Khan will be making his Bollywood debut with Anil Kapoor Films’ and Disney India’s ‘Khoobsurat’. The actor, who has a large fan-following worldwide, has apparently faced some criticism from fans back in Pakistan who are not happy with his decision to enter Bollywood. However, Khan is choosing to ignore this criticism and just wants to explore himself as an actor. “There will be people who will criticise. They are entitled to their opinion. Even if someone from India goes to work there, someone or the other will make noise… Art is something that travels across all borders. Art knows no culture and creed. As an actor, I would like to explore myself. I do feel bad, but I choose to ignore criticism. I think to pay attention to it is unnecessary,” Khan told reporters. Fawad Khan has featured in exceptionally popular television series in Pakistan, such as, ‘Humsafar’ (2011) and ‘Zindagi Gulzar Hai’ (2012). Already a household name in Pakistan, he has also become popular amongst Indian audience after the recent telecast of ‘Zindagi Gulzar Hai’ on the newly launched ‘Zindagi’ channel. 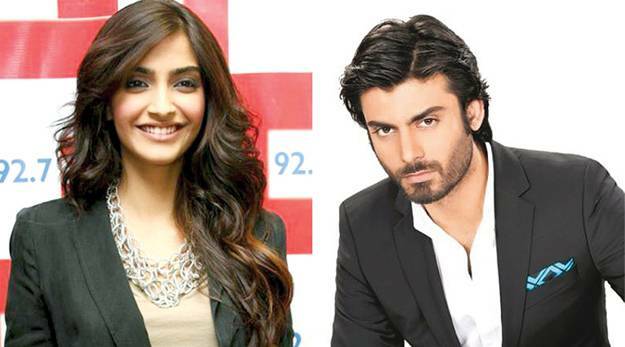 ‘Khoobsurat’ is slated to release on 19th September and will see Khan opposite Sonam Kapoor.